YULAI – As delegates arrive in Yulai to attend the Society of Conscious Thought's annual capsuleer gathering, CONCORD has announced that it will be providing a special briefing on recent developments concerning emerging threats to New Eden. 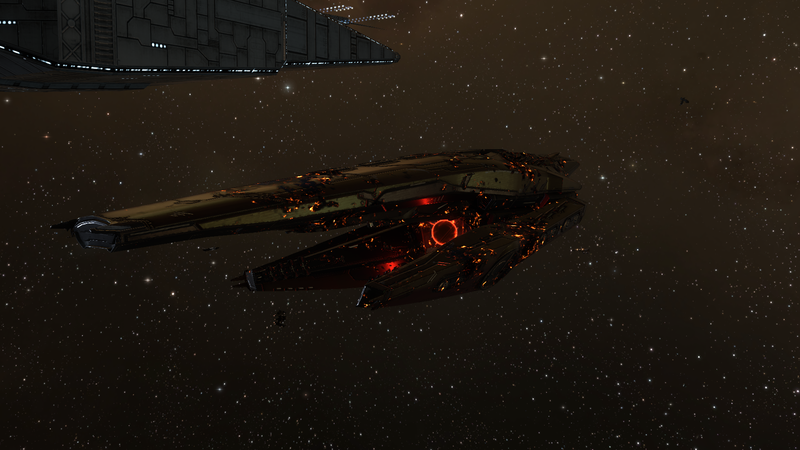 The announcement of this briefing follows the recent incident during which a heavily damaged vessel of unfamiliar design and unknown origin was quarantined by CONCORD forces under the command of DED Genesis Fleet Captain Oveg Drust. The vessel was subsequently docked in a secure bay within the Yulai X DED Assembly Station. Given this unprecedented event, the working assumption among the Scope's diplomatic sources is that CONCORD's Inner Circle, on which the SoCT's Elder Mentor Matshi Raish sits, has decided to share vital intelligence with the capsuleer community of New Eden. Unknown vessel at anchor outside DED Assembly Station,Yulai X. In this 15th year since independent capsuleers were licensed under an updated Yulai Convention, the Society is hosting their capsuleer contact gathering in a new diplomatic facility constructed across the bay from Concord City, on the surface of Yulai III. In anticipation of the anniversary of the dawn of the capsuleer age on May 6th, the venue will be playing host to a number of capsuleer speakers, together with representatives from CONCORD, the Empires and the SoCT itself. Following the unknown vessel quarantine incident in Yulai, and the recent series of Drifter fleet incursions leading to the recovery of video datastreams that appear to show heavy fighting between similar vessels and the Drifters, speculation is rampant and anticipation among interested observers is high.